We are known to be one of the leading exporters and suppliers of this highly commendable range of Motorcycle & Scooter Spare Parts. Further, the range’s strength, performance, dimensional accuracy, is widely praised. 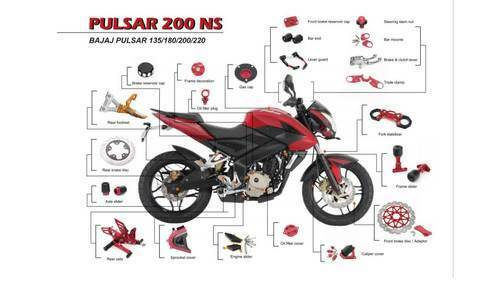 We known to be one of the leading exporters and suppliers of this highly commendable range of Motorcycle & Scooter Spare Parts. Making of this range done in compliance with the set industry norms and guidelines, by trusted vendors, its standard of quality never deteriorates.